Batumi is the city which I really enjoy visiting with so nice walking area, long boulevard, new glass and fashionable and old 19th century buildings and elegant squares which will make you feel in Europe, green parks – nice relaxation areas with lakes, fountains, availability of all range of services if you have some money to spend, starting from restaurants and hotels ending with numerous casinos and nightclubs, aquapark, diving club and yacht club. Laid out in 1884 it’s now stretching 6km along the coast. 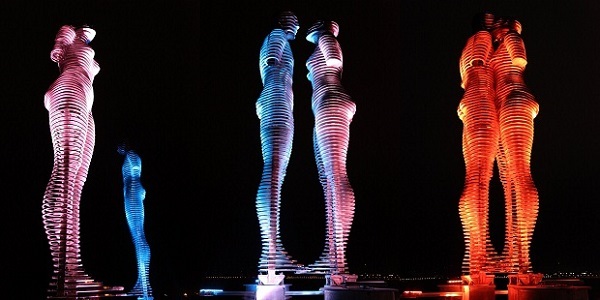 On the way see some of the most notable sights of Batumi, such as Ali and Nino Monument – metal structure of man and women who meet and love each other beautifully lit at night. Ali and Nino were Azeri-Georgian couple from Kurban Said’s famous novel. Then you will find large Ferris Wheel and the 145m-high Alphabet Tower – monument to Georgian old and unique script. Passing past many cafes and attractions you can watch many new towers on your left, new Radisson and Sheraton hotels and Georgia’s tallest building, the 200m-high Batumi Tower. Also you will find nice viewpoints to the sea, spots to take photos, old boulevard with many fountains, etc. 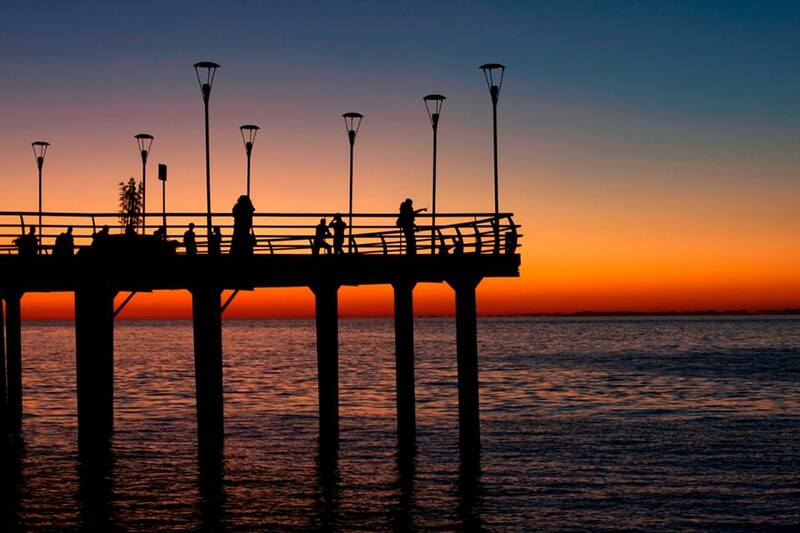 Most importantly, its the place for relaxation, to watch people, take a walk, run in the morning, bring your dog, watch the sunset of black sea, watch the mountains, rent a bike, play with kids,etc. 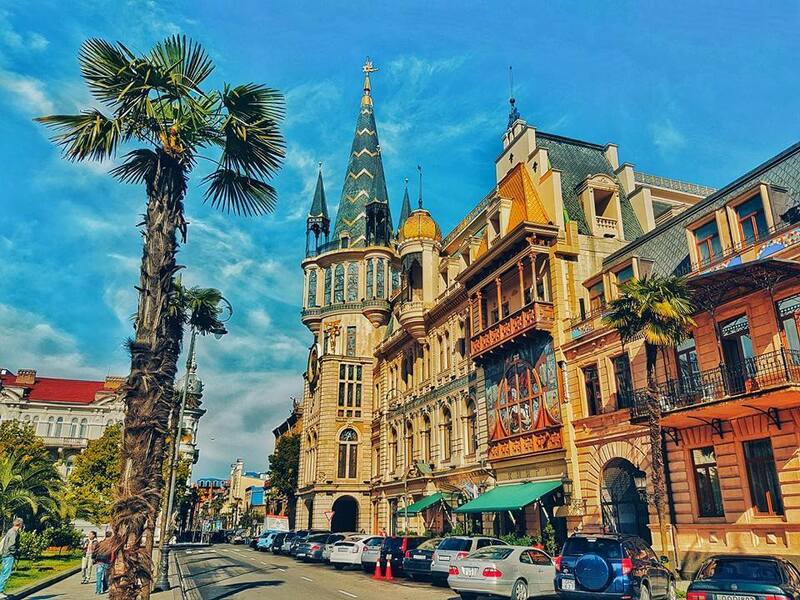 Batumi has not only new buildings, its best buildings are 19th century buildings, from the period when the city was free port on the Caspian oil route to Europe and was flourishing thanks to investments from the likes of Nobels and Rothschilds. Renovated old buildings and new ones in old style surround the square where you can find castle with astronomical clock and medea monument in the middle. Medea is a first world-known Georgian woman from Argonauts myth who took Golden fleece to antique Greece from oil-rich Georgian state of Colchis. You will feel yourself in the middle of Italy, it’s nice place with fancy restaurants, live music and the ,,bell” which rings (plays music ) every hour after 3 pm. 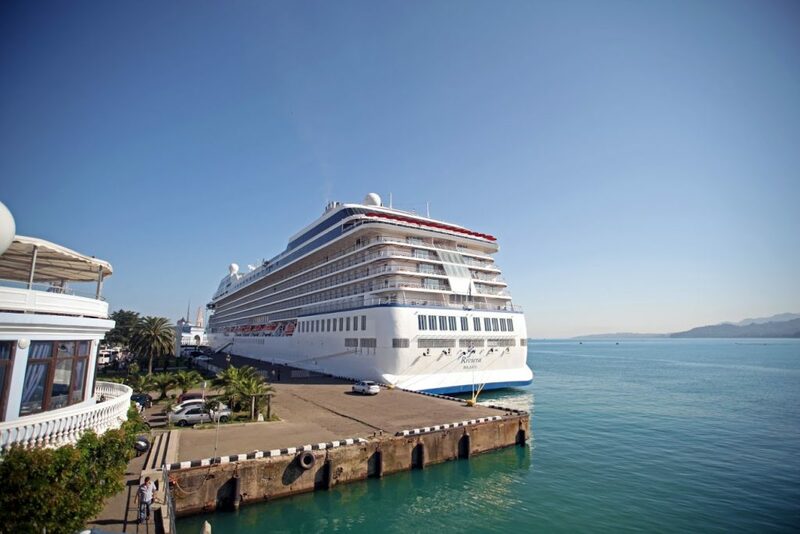 You can find here lots of attractions – zoological corner, a dolphinarium, and an aquarium. 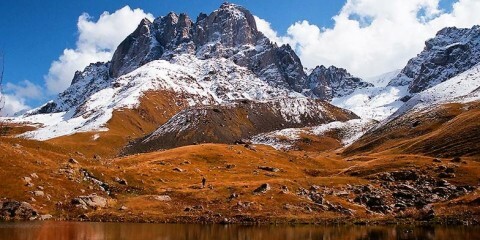 The beautiful Nurigeli Lake is located in the middle of the park and offers an exciting place for relaxation. The dolphinarium is one of the most popular attractions in Georgia. It offers exciting show – Lovely and clever dolphins are doing so nice and cute things: dancing and singing, kissing and hugging. Excellent Master of ceremony conducting the show in three languages: Georgian, Russian and English. Beyond 6 May park there is one more lake – artificial one, with dancing fountains, restaurants and views to new part and towers of Batumi. You can view Justice house and new Mcdonald’s which won building of the year nomination in 2013. You can view more information about it on businessinsider. You can take a walk, or motor boat trip, visit Machakhela or some other restaurant with a sea view, gudvili supermarket to buy some drinks (btw to buy Georgian wine, you can consider visiting winery Khareba’s store), also you can visit Batumi Technological museum of Nobel brothers to learn about the city’s development in the 19th century and oil pipeline. Batumi can be enjoyed in every season, so even when you can not swim in the sea or sunbath on the beach Batumi will not let you get bored. 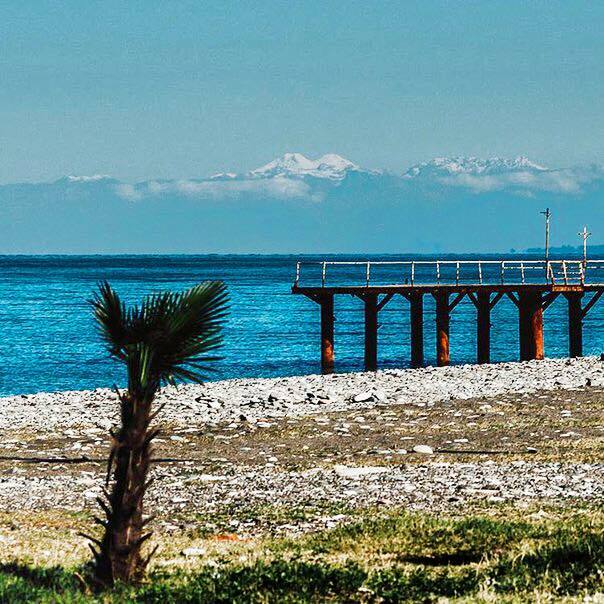 You can see snowed Batumi which is impressive – the paradise for photographers or view Caucasus summits and visit beautiful flower gardens in springtime. Early Spring is very beautiful in Batumi even if you cannot swim in the sea. 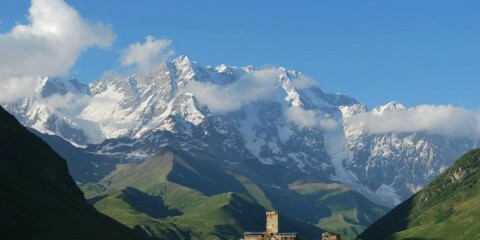 In the days of good visibility you can observe Caucasus mountain range from the boulevard, even Elbrus summit might appear at times. Near Radisson hotel Sakura trees were planted so in a few years we will have a nice Sakura garden worth visiting in the season of bloom. Ilia Chavchavadze’s (Georgia’s one of the founding fathers) monument stands nearby. Nice place to take photos. Batumi is also quite beautiful in winter after fresh snow. The most beautiful spot anytime of the year is Botanical Garden of Batumi. I put more details in my other post which you can read for more info. Don’t Limit yourself with the boulevard. 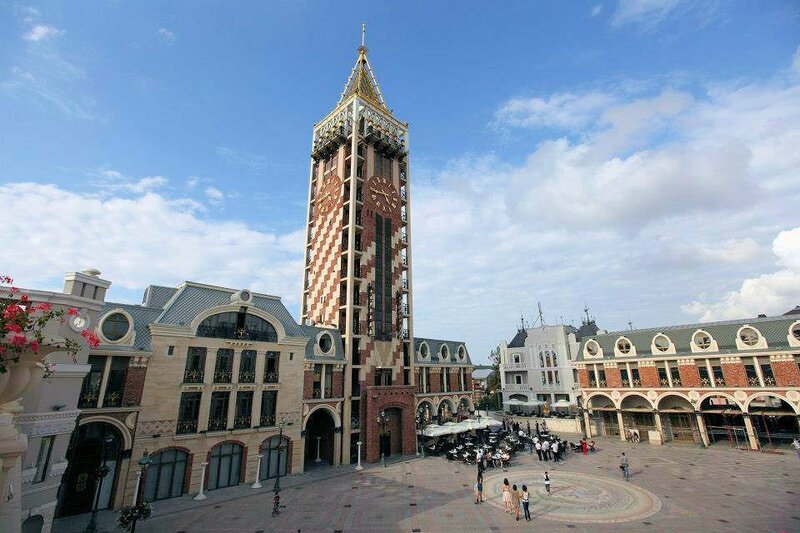 Batumi is not very big city. There are many areas with 19th century styled houses and nice restaurants. 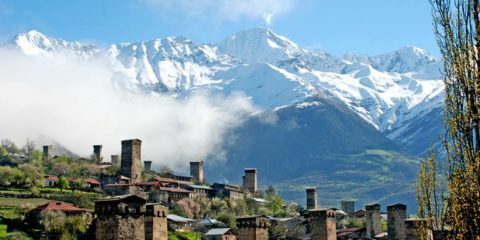 One of those is Kutaisi Street – where you may feel yourself in Turkish Black sea (karadeniz) part. 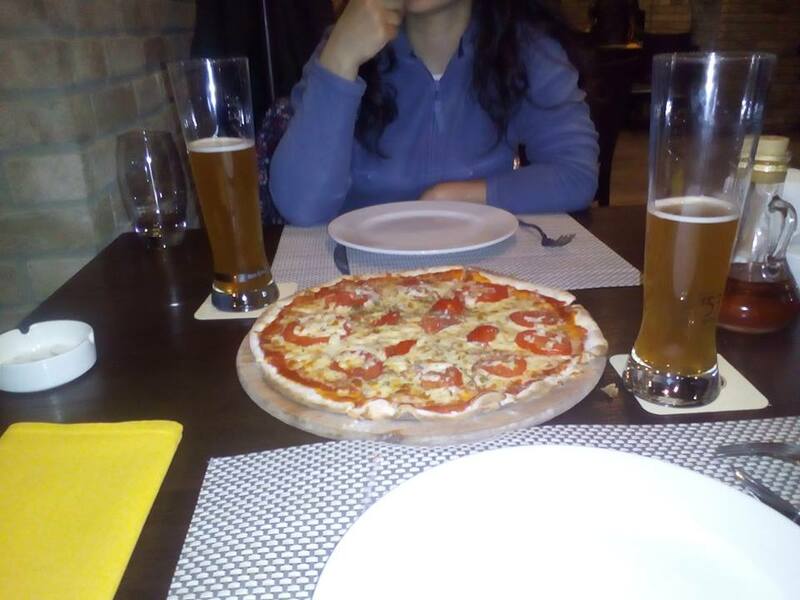 There is an old Mosque, Turkish restaurants (lokantasi), bars, stores, night clubs, casinos as well as Munich and HB bars for German beer and Georgian restaurant Shemoikhede Genatsvale. Argo cable car leads you to some nice panoramas, it costs 10 gel currently. 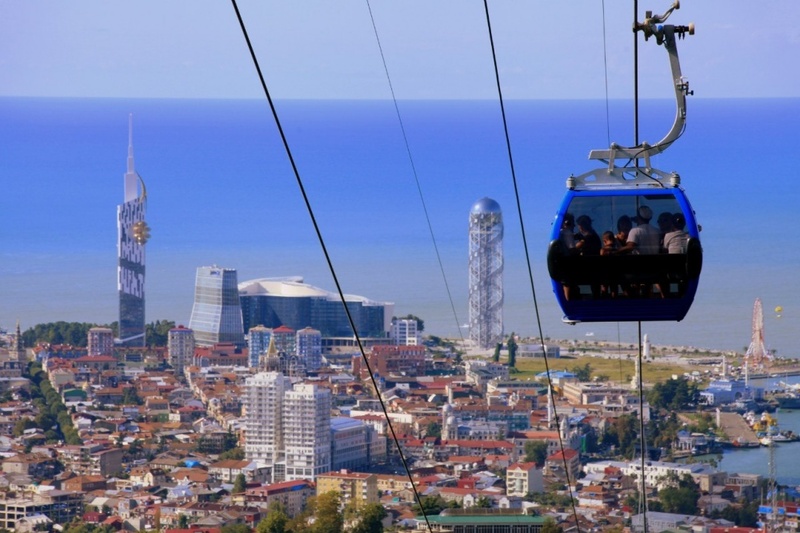 You can also take taxi to Sameba Monastery on the top of the hill overlooking the city, but to my mind, Batumi skyline is better seen from Makhinjauri seaside than from the top, but it can be still nice experience. 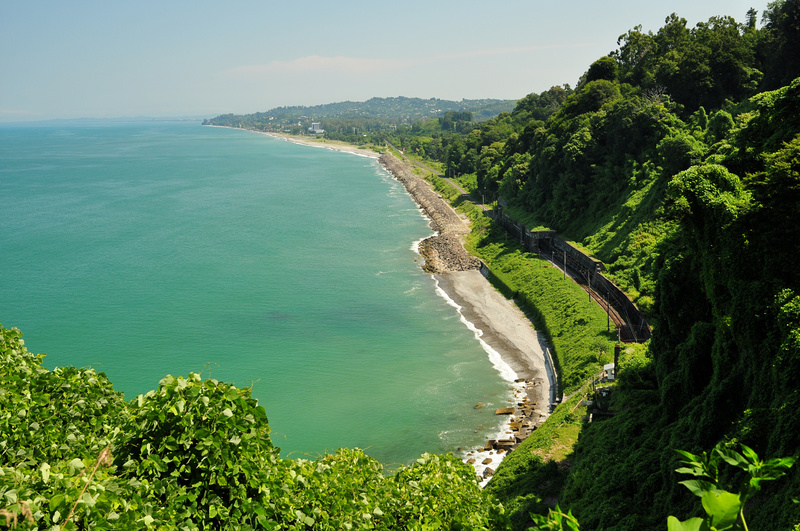 You could also visit some other sites near Batumi such as Mtirala National Park. 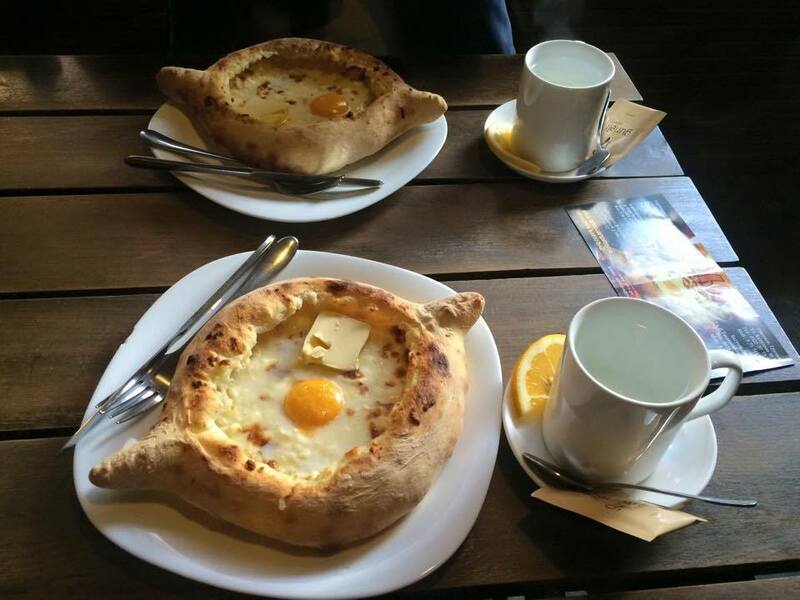 You can taste Adjarian Khachapuri and some other Adjarian dishes. 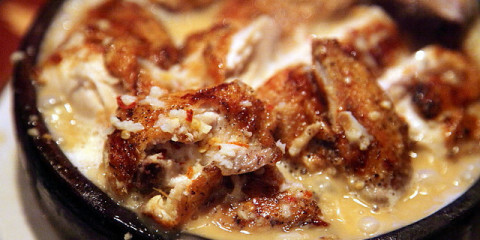 The most popular local dishes are: borano (cheese melted in butter), chirbuli (breakfast with eggs and walnut) and sinori (a dish with cottage curds and dough plates – my favorite). Varieties of local sweet pastry are also famous, especially baklava and shakarlama (sugar pastry). Transportation: Marshrutka costs 20 GEL, travel time approximately six hours. Overnight train: First class (two couchette car) 40 GEL, second class (four couchette car) 23 GEL, third class (seats) 13 GEL. Express day train: 25/18 GEL for first/second class seat. From Tbilisi Central it leaves at 6pm; and from Batumi Central (new station built recently, until it was Makhinjauri) at 16.35 and arrives at 10pm; Local marshutkas inside the city cost 40 tetris, are not very comfortable and stop too often, you could choose local buses whenever you can. Tickets can be purchased from a driver 80 tetris for 2 rides. Hi Avon, Could You tell me exact times of arrival and departure? 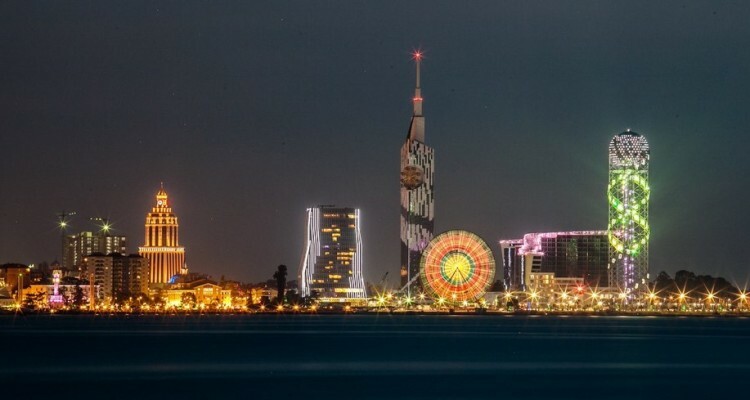 I guess you can take 6pm (arrives at midnight) train to batumi, spend a night there (Ali and Nino Monument should be seen at night, hope it will be switched on in Feb) and depart from Batumi at 4pm. Hello… can we travel Tbilisi to batumi in train ? Does it take too long to reach than car? You can travel by train – You can see railway.ge or tkt.ge for tickets.